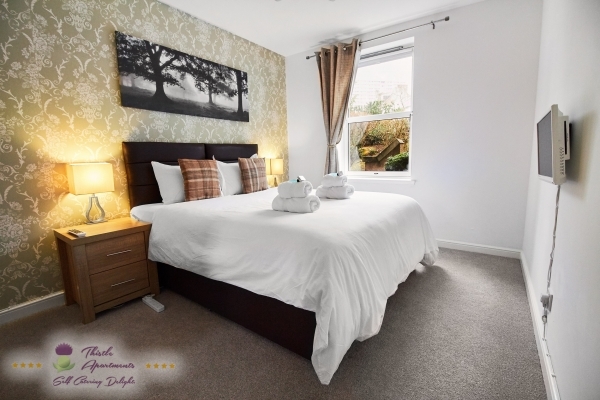 This beautifully furnished ground floor apartment is located in heart of Aberdeen with in Berry Street complex. Location is quiet and secure with private parking space. This 2 bedroom property is within 2 minutes walk to Union Street and on the door step to Bon-Accord Shopping Centre. With close proximity Aberdeen Rail station, beach and most of large shopping centres in Aberdeen. Guests can choose beds configuration such as: (2 King size), (1 King Size and 2 Single) or (4 Single Beds).